Yes, yes, we get it. How hypocritical of us to use the very medium we’re trying to step away from, to promote the action of stepping away. 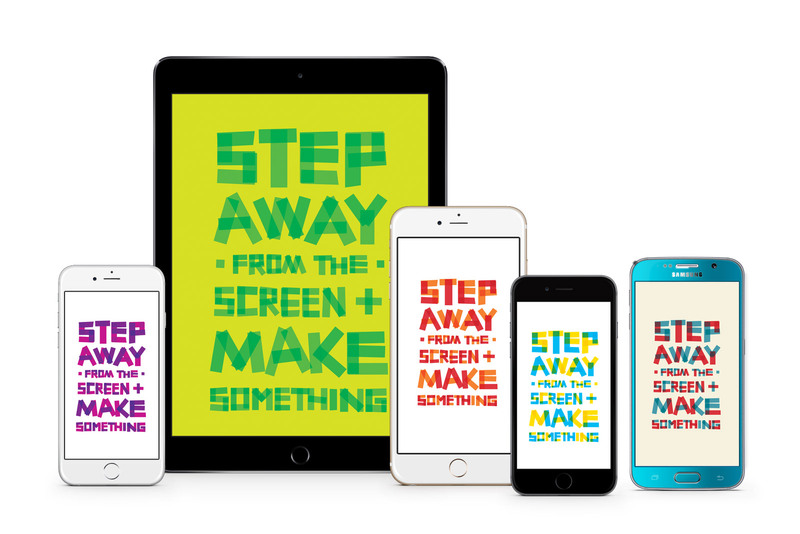 Irony is a double-edged sword, however, and so the home screens, desktop backgrounds, and screen savers available here are constant reminders to step away from the screen and make something. Take that, irony.